At least five people are dead and several more have been injured in Manhattan, according to reports. The incident took place Tuesday afternoon along the West Side Highway, Manhattan, ABC reported, confirming that five people had died. Officials told CBS NY that it might have been a road rage incident. Three additional people were reportedly hurt in the incident. One person is in custody and there’s no active threat, police told CBS. 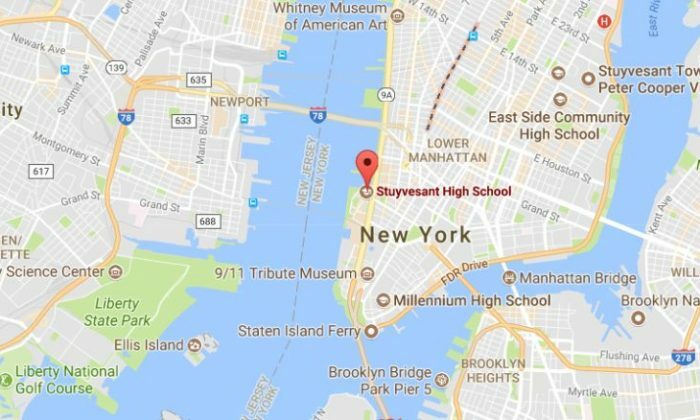 First, a vehicle hit several people on a bike path on the West Side Highway, a witness told ABC, before it hit a school bus near Stuyvesant High School. “A car just ran over 2 people and then crashed into a school bus. I see two dead bodies and citibikes on the floor destroyed,” one Twitter user wrote. “Oh my god I just heard gun shots and ran with my dog. Downtown,” Josh Groban tweeted. “I noticed along the bike path a bunch of wrecked bicycles and as I drove it was just more and more completely and totally wrecked bicycles and people mulling around to the side. I must’ve seen 30 or 40 bicycles like that,” one witness told CBS. “I saw a lot of debris, like car parts of something in one of the piles of bicycles but it was a lot,” they said. The NYPD and first responders are on the scene, the New York City mayor’s office said in a statement to media outlets.